Local indie, hip-hop producer and artist Time has been releasing his Hydra series since the beginning of 2010. In 9 months, he has churned out several excellent tracks, many of which, in complete honesty, I have yet to hear. But knowing the vast span of this project, releasing a new album each month leaves me with a sense of just how amazingly great music and creativity can spring forth into the cultural consciousness via the internet. 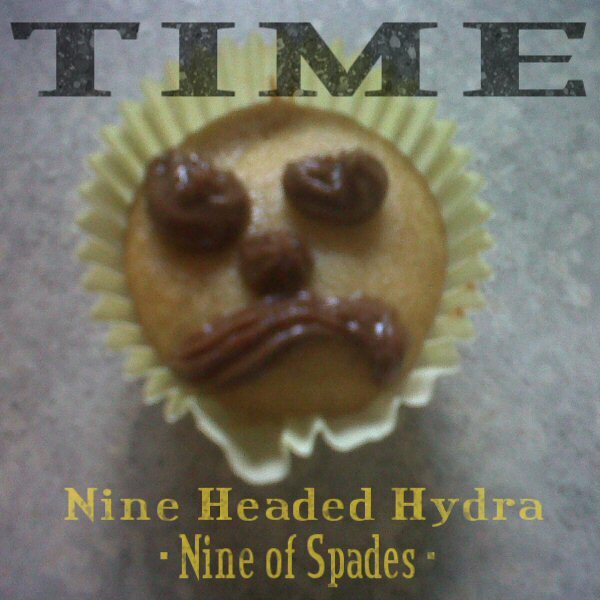 This specific release, September's own Nine Headed Hydra: 9 of Spades is a compelling and thoughtful assemblage of rap and hip-hop that showcases the greatness in a growing Denver music scene. These songs travel deftly from moments of individual confusion and listlessness to broader topics of politics, violence and religion, but as a whole it functions as a beautiful expression of self, with excellent lyrics and beats garnished with the just right amount of sprightly piano and synth. The opener "Paper Doll and the Hungry Tooth" is about individual courses and the ways we seek meaning and look for purpose. It opens the album with strong lyrics and music and closes with a guest spot from Denver's own Jason Horodyski from Maudlin Magpie. "Nine Of Spades" and "The 50 Foot Woman" are both exemplary examples of classic hip-hop, both dealing in the violence of youth and laden with references to politics, war and terrorism. It's thinking man's hip-hop in the truest sense. "Weapons of Mass Abduction" and "The Genocide of Us" take an even more earnest tone on those subjects, which in the moment, seems hardly possible, but the sincerity just cranks up. The hope dials back a bit and there's an admission of doubt about what good may or may not exist out in the world. The closer is more experimental and trades on sparse arrangement and beautiful, vulnerable vocals from guest Robin Walker. You can get this album, and any others from the Hydra series for free, though I'd suggest dropping a couple bucks in the digital collection plate, through dirtylaboratory.com and you can get more information on the project through Time's blog. This is unique, thoughtful and purposeful music from right here in Denver, CO. Support local artists, and then, hey, you can say you loved them before they even ran for one of the coasts.